Los Angeles, CA. – Pelican Productions announced that principal photography will start this week on “Stevie D,” directed by first-time helmer Chris Cordone. The film is shooting in Los Angeles and stars Cordone (“Castle,” “Ray Donovan”), Kevin Chapman (“Person of Interest,” “The Brotherhood”), Torrey DeVitto (“Pretty Little Liars,” “Vampire Diaries”), Spencer Garrett (“House of Cards”), Al Sapienza (“Millon Dollar Arm”), John Aprea (“The Godfather II,” “Idolmaker”) and Hal Linden (“Barney Miller”). Produced by Brandon Amelotte under his Pelican Productions moniker, the film is co-produced by Cordone, Adam Silver and Kuldeep Malkani. Paul McIlvaine is the Director of Photography; Kevin Mockrin and Karina Walters are the casting directors. Watch for news updates on their official Facebook page here. 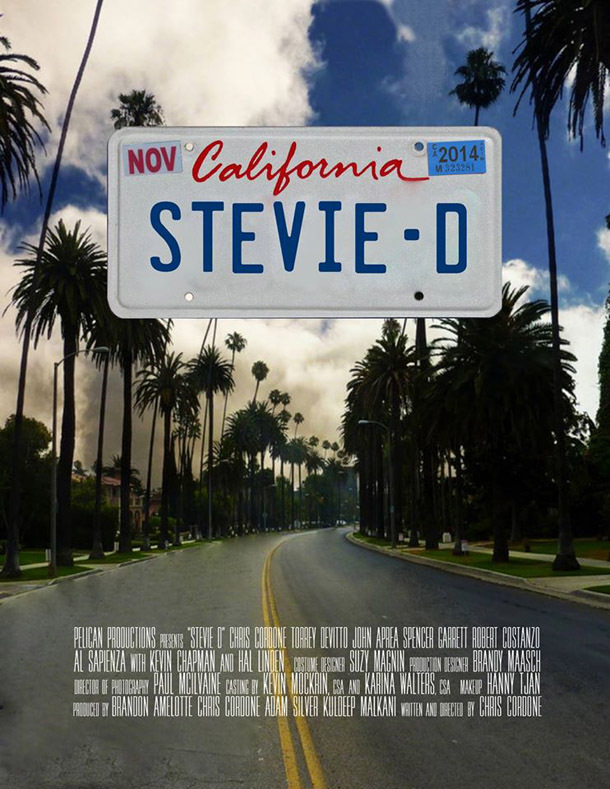 Comments for Kevin Chapman and Torrey DeVitto Star in “Stevie D” are now closed.